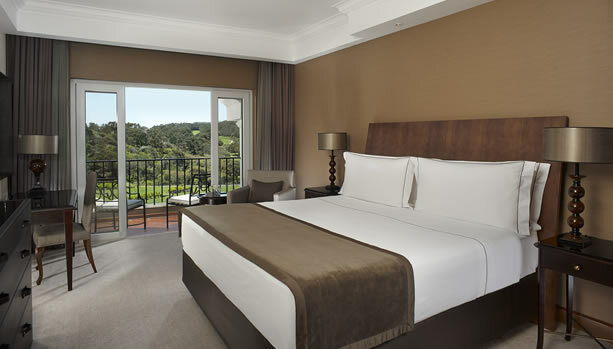 This year, we spent our two-week summer holiday at Penha Longa Resort. 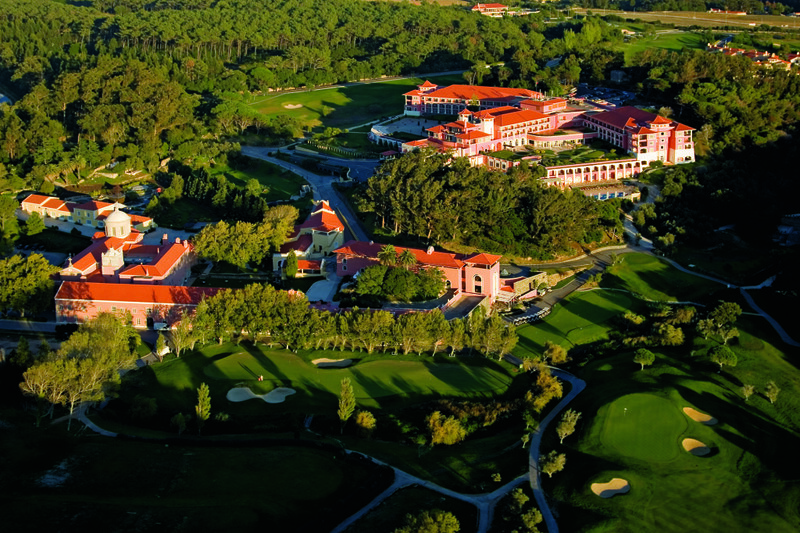 Penha Longa is a Ritz-Carlton resort situated in the beautiful mountains of Sintra. 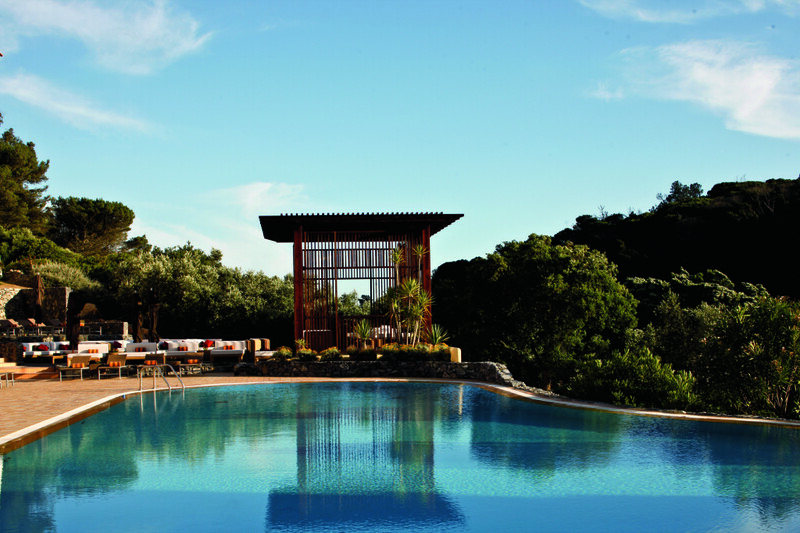 Within 30 minutes from Lisboa (LIS=airportcode) airport, you arrive in a paradise where you are treated like royalty. From the moment that you arrive at the security check of the gated 220 hectares (500-acre) resort until you arrive five minutes later at the entrance of the hotel, you know that you just entered a very special place. We (me, my husband and two daughters, 6 and 8) were welcomed with by name. Four porters opened all of our four car doors at the same time. After that, the Kids Ambassador Claudia waited for us inside with special drinks for the kids and drinks for me and my husband. A week before the start of our vacation, Claudia, the Kids Ambassador, contacted us to get more information about our kids and gave us information about all kids activities. This was such a special touch and got us in the holiday spirit right at home. It was therefore extra special that she waited for us on our arrival. We stayed in two beautiful and stylish Deluxe Rooms, connected with each other. Our daughters felt right at home. They loved to have their own domain and we loved our space as well. The beds were incredibly comfortable and our view was peaceful. Everywhere you looked there were beautiful green trees and mountains. We also loved the differences in our turndown service treats, something special for just the kids and something special for mom and dad (every day was something different, my favourites were the Portuguese tarts). Aqua Restaurant: in Aqua restaurant we had a Fados Night with a Fado singer and typical Portuguese food. We also had a BBQ night which was wonderful. When you sit outside, you overlook the swimming pool. Midori Restaurant: this was our favorite-Japanese cuisine. Mouthwatering delicious, each course is prepared with passion. Midori is a real treat and should not be missed. Il Mercato Restaurant: this is the restaurant where families enjoy their breakfast. Midori is used for couples without children. A smart idea, and beneficial for everyone. We enjoyed dinner here as well and it was very good Italian cuisine. B-Lounge: this stylish lounge is very relaxing and a good spot to go to for pre-dinner drinks, cocktails (or mocktails for mom-to-be) and gourmet hamburgers. My daughters loved their Churros (and me too….). 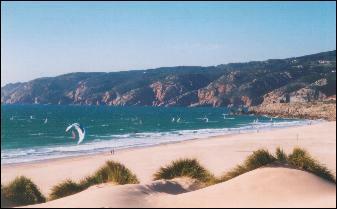 It was our fourth time in this area and we have visited several beaches on the Lisbon coast. Beaches like Ericeira, where you can see lots of surfers. The highway next to the Atlantic Ocean is also a great ride. This year we went to Praia Grande, Guincho Beach and Santa Cruz. Besides the beautiful sandy dunes of Guincho Beach, I also loved the location of Fortaleza do Guincho overlooking Guincho Beach and the Atlantic Ocean. For a business trip about 12 years ago, I spent an evening at this fort-style restaurant. I remember it as a restaurant with a James Bond feeling. Now it’s part of Relais & Chateaux. 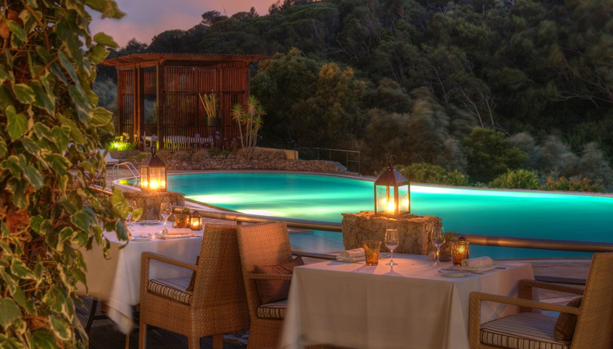 I would definitely go there for a romantic dinner while on your Babymoon in Penha Longa. When you enter the building, the first thing I noticed was the calmness.We had the pleasure to enjoy several spa treatments at Penha Longa Spa. All experiences were blissful and relaxing. The world-class spa is situated in the resort’s historical Palace complex. 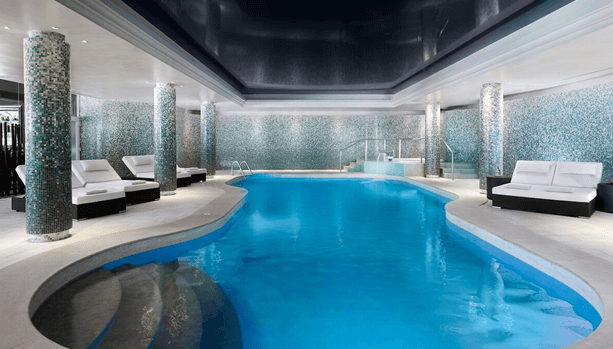 The luxurious 1,500 square-meter / 16,145 square-foot haven invokes relaxing tranquillity. 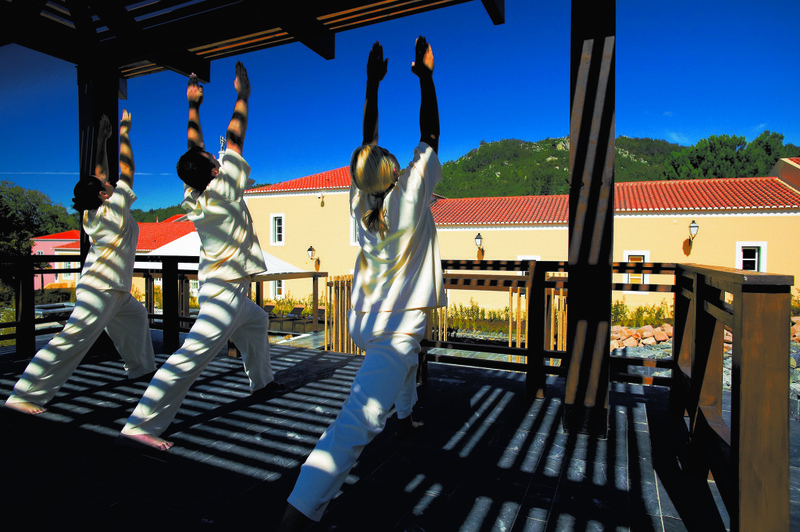 There are many shopping malls in the area of Penha Longa. Closest is Beloura Shopping. Within five minutes from the resort, you are at CascaiShopping, my favourite. CascaiShopping is a very big shopping mall. These malls are very rare in the Netherlands, that’s why I love to visit them while we are abroad. Even though I have been to some of the biggest malls in the world (Dubai Mall and Mall of America), this one stands out because of its variety of brands. CascaiShopping is also a very good place for some pre-birth shopping. There are lovely baby shops, from well-known brands such as Chicco, Zara and H&M, but also some smaller baby boutiques like Laranjinha, Natura Pura, Metro Kids Company, Knot. just for the Kids? and Lanidor Kids & Junior. Another large mall only five minutes from the resort is Forum Sintra. During the summer months, little guests can sign up for children’s activities from the age of 5 to 12 at the Kids Club. The Kids Club is open 7 days a week from 10 a.m. to 11 p.m.
Our children joined a Pastry Workshop. They loved to go to the Chef (they said that he’s the Best Chef in the world !!) in his kitchen to bake and decorate cookies. They also joined a craft workshop and came back with lots of creative masterpieces. Children under the age of 5 can play in the Kids Club. They also have great toys there! Every night it’s movie night with a real popcorn machine! My eldest daughter loves horses and every time when we’re in Portugal, she goes horseback riding. 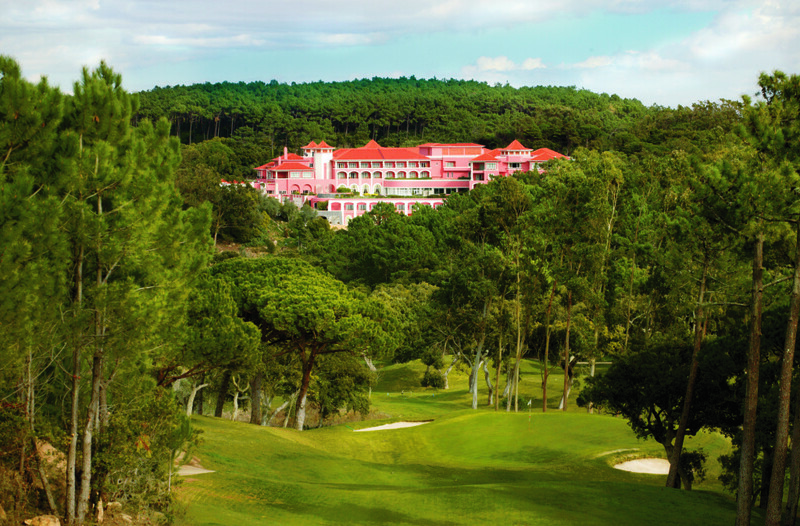 This summer she went to the Country Club situated in Penha Longa Resort. Within the Country Club, guests can play tennis, squash and swim, there’s also a horseback riding centre, EquiKür. This riding centre has 25 horses. The lessons my daughter took were fantastic and very professional. Her teacher Rob taught her a lot about balancing in a very short time. During the second lesson, she could stand on her horse, Andy. 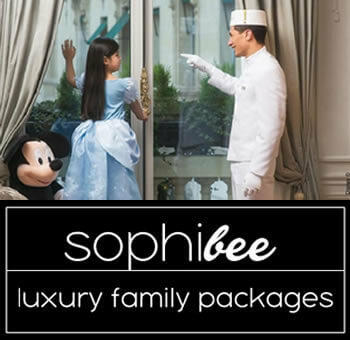 Another option for families is to book with Powder Byrne, a London based luxury holiday company for parents and kids. We saw many of their in-resort team members. They organize great programs for kids, like going to the Lisbon Zoo or taking surf lessons. We didn’t book with them but we will definitely look into this option for another vacation. We have been working with Penha Longa’s Babymoon Package for over a year now and it’s such a wonderful feeling when you see actual babymooners enjoying the resort. I saw an expecting couple in the Spa and was touched by the relaxed look in their eyes. Just how it should be, so very satisfying. A big plus for expecting mums is that the hospital is around the corner, not even 5 / 10 minutes from Penha Longa (just in case). Cascais Hospital is a very modern hospital. This summer, Penha Longa worked with an on-site photo studio, Studio 77. Besides the brides I saw at the resorts, I can imagine that it would be great to book a session with them for pregnancy photographs as well. Penha Longa Resort created a special treat for expecting couples before the arrival of their baby. A well deserved relaxing and romantic babymoon break. “A relaxing full body massage using rich oils of Wild Rose to deeply nourish and moisturize your skin. A babymoon at this beautiful five star resort will give you a memorable experience . It’s just a non-stop 2,5 hour flight from Amsterdam to Lisbon, which makes this destination a perfect spot for both short or longer getaways. Direct flights from London take up to 2 hours and 45 minutes.